Today I opened the #smokeyquartz box, I unpacked and shined them up, and set my intention for them to attract whomever belongs to them. Each day I have been revisiting my books, refreshing my knowledge of each crystal and mineral, sitting, holding and absorbing the different energies they bring along. I feel like I have found long lost friends I forgot I had, and the time is too short before they go again…. 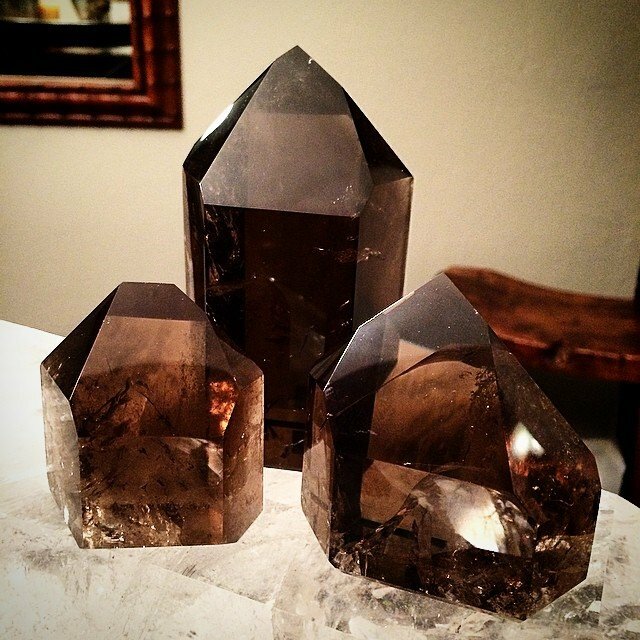 my favorite bit of info, "smokey quartz is used in assisting in making wishes come true by grounding their essence in reality." Love it.